Photos of the illegal construction started circulating Bulgarian social networks on Saturday. 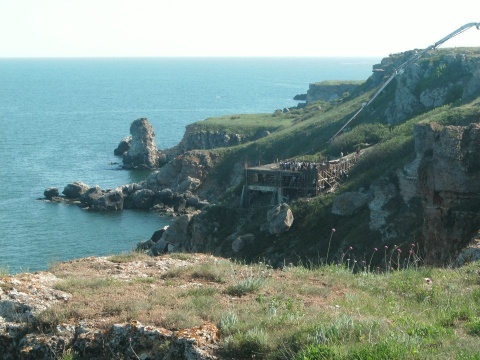 Municipal authorities have ordered a temporary stop of work on a construction site in the area of a protected archaeology site along Bulgaria's Black Sea coast. The ongoing rapid construction was apparently started just ahead of Sunday's early general elections in Bulgaria, and raised among an outcry among environmentalistsand the general public. The site appears to fall within the area of the Yaylata National ArchaeologicalReserve, located in a scenic area near the village of Kamen Bryag. Monday Bulgaria's Ministry of Environment announced it has found that the ongoing construction does not comply with the construction permit issued. The permit refers to "Reconstruction of a roof and masonry of a fisherman's hut," while builders have already erected two stories of a massive concrete building. The tiniest bones in the human body – the bones of the middle ear – could provide huge clues about our evolution and the development of modern-day humans, according to a study by a team of researchers that include a Texas A&M University anthropologist. Darryl de Ruiter, a professor in the Department of Anthropology at Texas A&M, and colleagues from Binghamton University (the State University of New York) and researchers from Spain and Italy have published their work in the current issue of PNAS (Proceedings of the National Academy of Science). The team examined the skull of a hominin believed to be about 1.9 million years old and found in a cave called Swartkrans, in South Africa. Of particular interest to the team were bones found in the middle ear, especially one called the malleus. It and the other ear bones – the incus and the stapes – together show a mixture of ape-like and human-like features, and represent the first time all three bones have been found together in one skull. Europe's first advanced civilisation was local in origin and not imported from elsewhere, a study says. 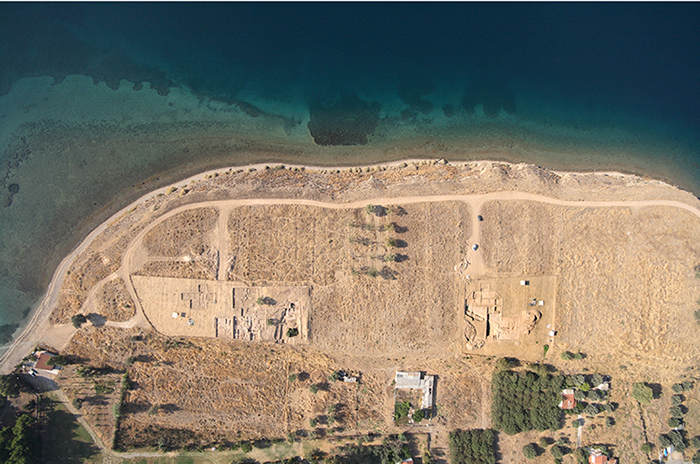 Analysis of DNA from ancient remains on the Greek island of Crete suggests the Minoans were indigenous Europeans, shedding new light on a debate over the provenance of this ancient culture. Scholars have variously argued the Bronze Age civilisation arrived from Africa, Anatolia or the Middle East. 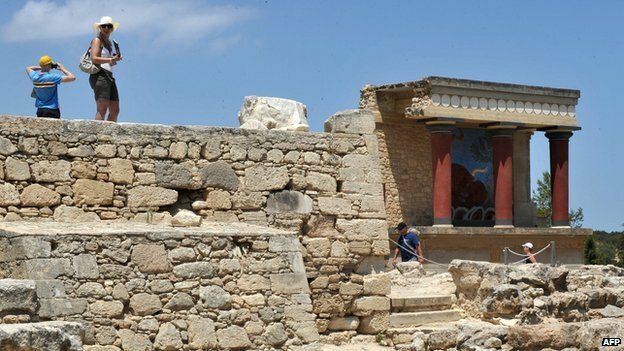 The concept of the Minoan civilisation was first developed by Sir Arthur Evans, the British archaeologist who unearthed the Bronze Age palace of Knossos on Crete. The Greek polis, as a political and territorial entity, is a remarkable social organisation that emerged in the Greek world after the collapse of the Mycenaean palace system and the “transition” period that followed. 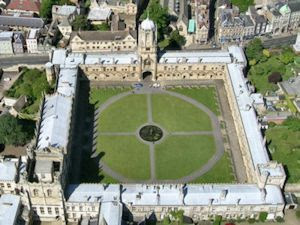 Because of its very distinctive character within the ancient world, the city-state dominates the study of Greek history. But how did this start and how can it be recorded? Scholars often link the polis with communal rites and feasting in sacred or public spaces and they consider that these activities were a means to enhance the territory or group cohesion. Earlier literature has discussed cult and burial practices for periods earlier than the formation of the polis. However, what is missing is an up-to-date study of collective ceremonies from the Post Palatial period (ca 12th-11th c. BC) to the Archaic period (6th c. BC) where complex communal practices would be examined within a wider social context and, more importantly, beyond the structure of the Greek polis. A U.S. anthropologist says a dig in Africa has revealed the earliest evidence of humans involved in hunting and scavenging as food acquisition strategies. Around 2 million years ago early stone tool-making humans known as Oldowan hominin started to exhibit a number of physiological and ecological adaptations -- an increase in brain and body size, heavier investment in their offspring and significant home-range expansion -- that required greater daily energy expenditures, and there has been debate about how those early humans acquired that extra energy. A wealth of archaeological evidence from a site in Kenya known as Kanjera South, or KJS, including animal bones and rudimentary stone tools, suggests they met their new energy requirements through an increased reliance on meat eating, Baylor University anthropologist Joseph Ferraro said. "Considered in total, this study provides important early archaeological evidence for meat eating, hunting and scavenging behaviors -- cornerstone adaptations that likely facilitated brain expansion in human evolution, movement of hominins out of Africa and into Eurasia, as well as important shifts in our social behavior, anatomy and physiology," he said. Heavy equipment belonging to a construction firm that is working on the long-expected Marmaray project -- an undersea commuter train connecting İstanbul's Asian and European sides -- invaded an excavation site in Yenikapı and has damaged remnants dating back to the Neolithic Age. Archaeological excavation started in 2004 at the Yenikapı Marmaray construction site, reaching 8,500 years into the history of İstanbul. Skeletons, chapel remains, water wells, footprints, the world's best-preserved shipwreck and a merchant vessel, whose contents and wooden parts are in exceptionally good condition, have been uncovered by archaeologists so far. The excavations are still going on at the site, but the Marmaray construction firm interrupted the work when its heavy equipment invaded the excavation site on May 11, not thinking of any possible damage that it might cause to objects as yet unrevealed. According to a Radikal daily report on Monday, without considering the warnings and concerns of archaeologists, the management of the construction firm insisted on continuing their work at the Neolithic site, which carries great importance in terms of shedding light on the history of world civilization. The construction firm started its activities at the site without informing the Cultural and Natural Assets Conservation Board and the İstanbul Archaeology Museum. Now, archaeologists, universities and nongovernmental organizations have called on state officials to stop the heavy equipment that might eliminate their chances of finding new artifacts. 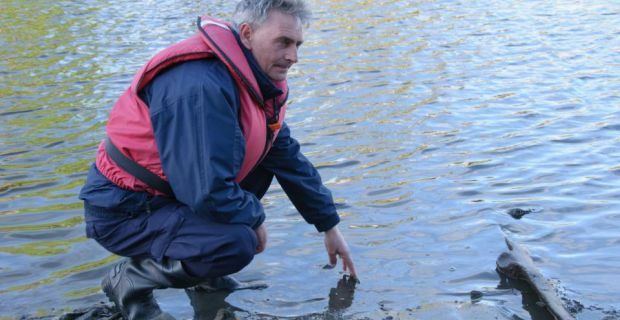 An ancient log-boat, possibly thousands of years old, has been discovered partly embedded in the banks of the River Boyne in Drogheda, possibly where it originally sank. An initial examination by specialist archaeologist Karl Brady, suggests it could be unique because, unlike other dug-outs or log boats found in the Republic, it has a pair of oval shaped blisters on the upper edge. Such features were “ very rare”. “I have seen them on some boats found in Northern Ireland and Britain but not in Ireland. They could have been used for holding oars,” said Mr Brady, who is an underwater archaeologist with the Department of Arts, Heritage and the Gaeltacht. 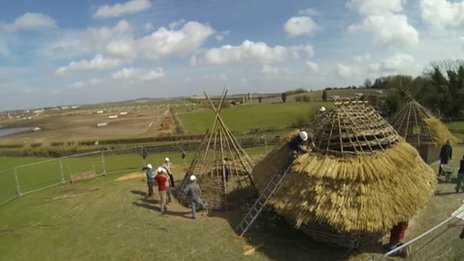 Three Neolithic-style huts have been built at Old Sarum to learn more about how the builders of Stonehenge lived. The huts, made of chalk and straw daub and wheat-thatched roofing, have been based on archaeological remains found at Durrington Walls, near Stonehenge. Project leader Luke Winter said: "What we're trying to do is get a sense of what these buildings looked like above-ground." The hope is to re-build the huts at Stonehenge visitor centre next year. Mr Winter added: "What makes the buildings interesting is that they were dated to about the same time as the large Sarson stones were being erected at Stonehenge. "One of the theories is that these may have housed the people that were helping with construction of that monument." The idea that humans nearly became extinct 75,000 ago because of a super-volcano eruption is not supported by new data from Africa, scientists say. In the past, it has been proposed that the so-called Toba event plunged the world into a volcanic winter, killing animal and plant life and squeezing our species to a few thousand individuals. 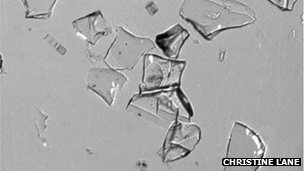 An Oxford University-led team examined ancient sediments in Lake Malawi for traces of this climate catastrophe.